Shetland wool is in demand for handmade textiles because of its variety of colours and adaptable quality. Flying the flag for the breed and its fleece is Yorkshire breeder Julie Shearn, who is enjoying showing success as a result. 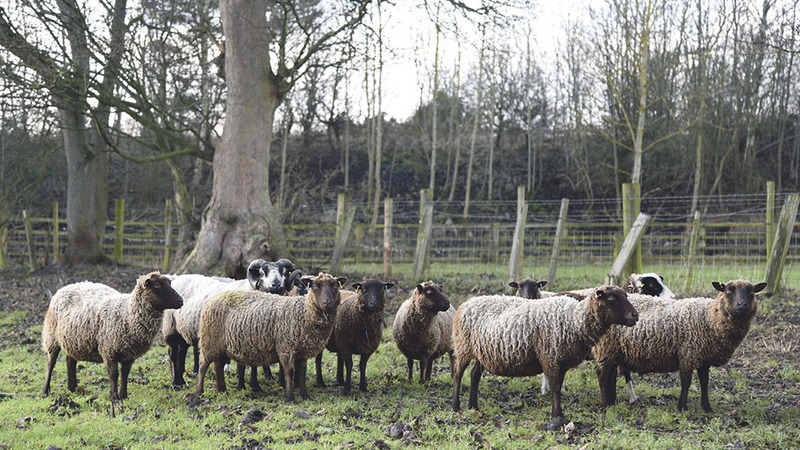 Marie Claire Kidd finds out more about what makes a good fleece. What makes a prize-winning fleece? Some may insist it is the breed and others, the wool type and husbandry. One woman who definitely has an opinion is shepherdess Julie Shearn, Hebden Bridge, West Yorkshire, who last year scooped an array of top awards for coloured fleeces from her Shetland sheep. She brought home no less than eight prizes from the 2016 Great Yorkshire Show, including overall champion coloured fleece. And in the National Shetland Sheep Society competition at the Traditional and Native Breeds National Show and Sale, Melton Mowbray, she bagged reserve champion. Julie sells her fleeces to hand spinners in the UK and internationally. She has found focusing on quality and gathering rosettes can increase the value of an individual fleece by up to 800 per cent. While the international market dictates the British Wool Marketing Board can only pay about £2.50 per Shetland fleece, Julie is looking for at least £10 and she expects her prize-winners to raise between £15 and £25, depending on their quality and weight. Some say the only wool finer than the Shetland’s is Australian Merino but high micron Shetland wool is renowned for its fineness. To achieve a maximum price, breeders such as Julie can avoid commodity markets and focus instead on selling to crafters. Hand spinners picking individual fleeces will quite happily pay £10-15 a fleece for something which fits the bill. And if you have got the rosettes to back it up, the price can go higher. According to Julie, hand clipping is crucial for Shetland wool of this quality. She says: “This is to ensure an accurate cut where there’s the break between the previous years growth to the next. Local farmer John James clips Julie’s sheep with traditional shears each year, and he has mentored her as she has grown her flock. Julie always imagined she would work with animals, but she is relatively new to keeping sheep. She started breeding Shetlands in 2010, having learned of this ancient breed when a friend asked if their flock could holiday on her farm. “The flock stayed under my care for six weeks and I fell in love,” she says. 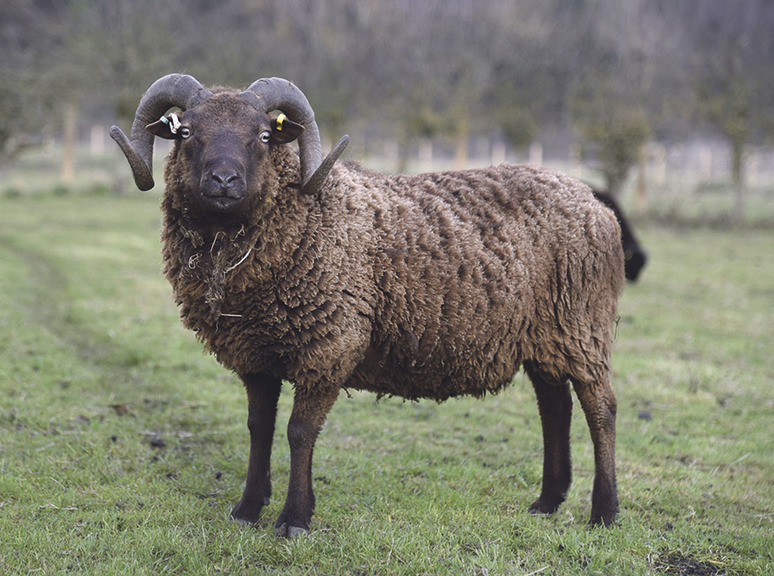 “I’d been considering sheep as the next step and wanted a native rare breed which lambs easily and mostly independently, so Shetlands were perfect. Shetlands are slow maturing, which gives their meat a full flavour. At Burlees they are fed on pasture rich in wild flowers and herbs, including yellow rattle, plantains, bird’s foot trefoil, lady’s bedstraw and meadow vetchling. Sales were initially through friends and family but have been boosted by word of mouth and local advertising. “Most people like to come here to collect meat, and see the flock and our set-up, which brings confidence in our commitment to organic principles,” she says. She sells up to a dozen breeding ewes a year, plus some lambs and rams, for between £100 and £250 each. “I get £100 income on meat after the butcher and abattoir, so I won’t sell live animals for less,” she says. It all helps make the Burlees Flock of Pedigree Shetlands financially viable. Animal sales also help keep the flock size within the limits of the land. She keeps the sheep and a small flock of chickens for eggs on about 15 acres. The rest of the land is taken up by her two horses or planted with trees. “We have tried to plant useful trees, with help from Treesponsibility, a local tree planting organisation,” she says. There are closely planted western red cedar, scots pine and Sitka spruce for fenceposts, along with fruit trees and nut trees, including hazel and Corsican pine nut. Shelter belts of sweet chestnut, alder, sycamore, oak, rowan, birch, hawthorn, holly and hazel are planted along the contours of the land to aid flood alleviation. They also provide firewood and create wildlife habitat. Julie’s wins have put her flock firmly on the map. This year will see Julie showing her animals for the first time, taking one or two to the Great Yorkshire Show, possibly including the ewe which produced her prize-winning fleece, or its offspring. She will also begin offering courses, events and volunteer days, covering smallholding and sustainability topics including beginners’ sheep keeping, hedge laying, straw bale building, apple pressing and felt making. She is continually improving the flock by buying high quality ewes at the breed society’s most northerly annual shows and sales, at Lannock, Carlisle, Melton Mowbray and York. “At Melton Mowbray there can be 25 Shetlands in a class,” she says. “It can be huge. “I like sitting with other breeders watching the show and discussing which ones we like and why. I have made a lot of friends and learned a lot. After shearing, take your fleeces one by one and lay them on a flat surface. Remove as much contamination as you can and take off the greasy outer edge. You may also need to remove any coarse britch wool which will spoil the quality of the fleece. Take a staple of wool and give it a good tug. If it breaks the fleece is ‘tender’ and of no use. Breaks in a fleece can occur for many reasons, including illness, pregnancy and stress. With the wool skin side down, turn in both sides and roll from the britch end. Take the neck wool and, without twisting it, push it into the body of the fleece. Fleeces can be stored in pillowcases, duvet covers or paper sacks, but not plastic bags. Keep them dry. Beware of moths and mice. Contact your local spinning group, advertise on the Shetland Sheep Society website or get in touch with the society about its breed stand, which goes to wool events like Woolfest, Wonderwool Wales, Fibrefest and Fibreeast and usually wants good, clean fleeces to sell. You can send the wool away for processing. You could have it washed and carded into rovings ready for spinning or felting, or spun and either left in skeins or balled with your own band added. The most costly process is to have it spun at a mill and then sent to be woven into throws, scarves etc. The minimum amount of fleece which many mills will accept is 20kg so you may wish to join up with other Shetland breeders, especially if you wish to keep your colours separate. Some mills run a share scheme. Spinning, weaving, felting or using a peg loom to add value to your fleeces can become an absorbing hobby. Don’t throw away wool you cannot process, use it to line hanging baskets, mulch round soft fruit or put into the bottom of large pots as a water reservoir.